Medical linear electron accelerator SL75-5-MT is an isocentric megavoltage therapeutic unit that is aimed for radiation therapy through deceleration radiation in static and rotary conditions. The linear accelerator generates deceleration radiation with the energy of 6MeV and provides maximum power of the absorbed dose at 1 meter from the target in the range 350-500 rad / min. In 1997-2002 at NIIEFA was organized serial production of accelerators SL75-5-MT. 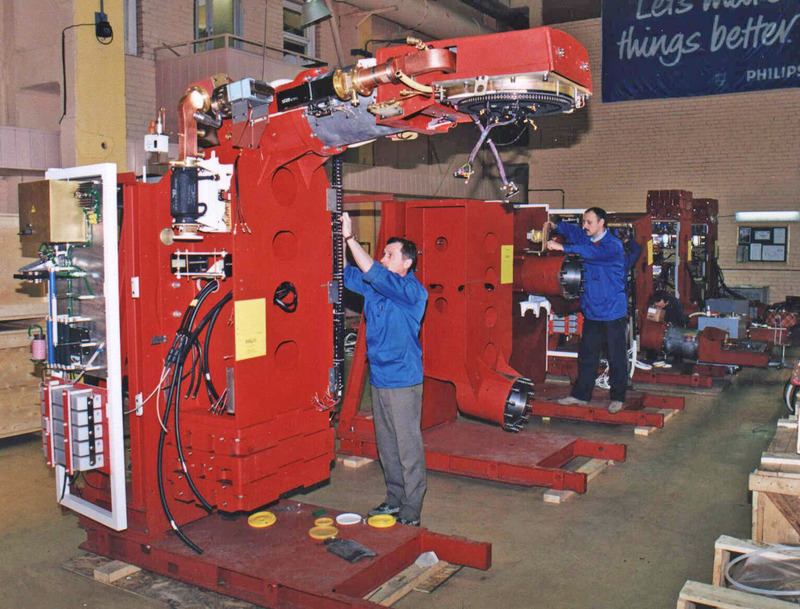 During this period of time 58 machines were produced. 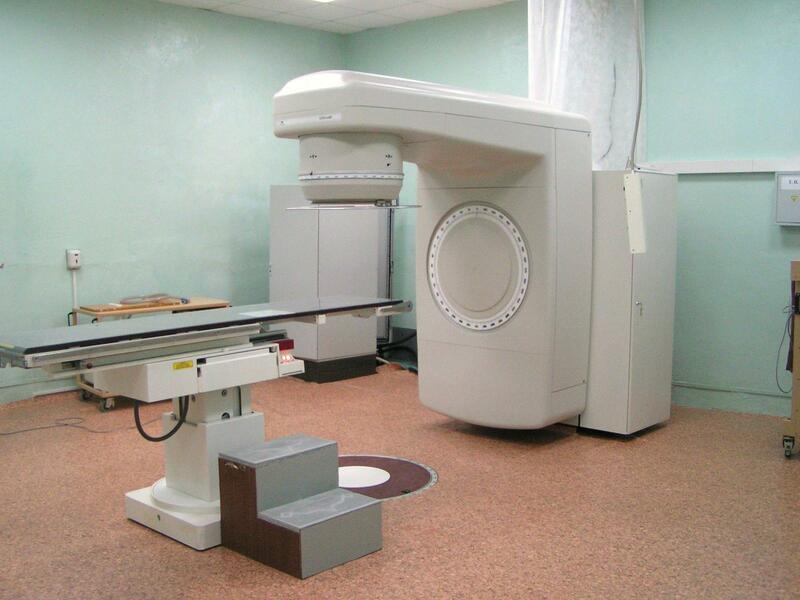 Accelerators were supplied and put into operation in oncological clinics of Russia. In the process of accelerators production preparation there had been modernized drastically all production workshops of the linear accelerators’ research and production complex, as well as NIIEFA’s cyclotrons. Two test facilities were equipped for complex tests. There is an accelerators operating service center. Accelerator SL75-5-MT meets the standards of The International Electrotechnical Commission for linear accelerators used in medicine. Accelerators SL75-5-MT were being supplied as a unit along with the Water Phantom "Wellhofer", clinical dosimeter "Keithley" and a treatment plan. On the basis of accelerator SL75-5-MT it was designed and produced the linear electron accelerator “Allus-6M”.